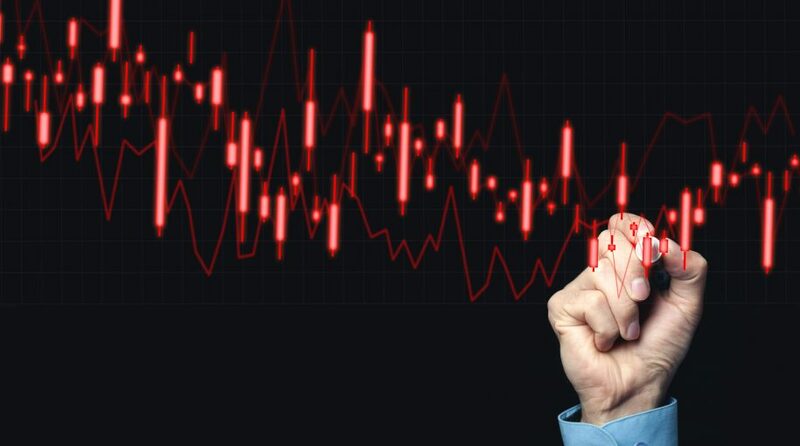 The Dow Jones Industrial Average fell as much as 200 points on Tuesday as corporate earnings pessimism and a slowing global growth outlook from the International Monetary Fund added to investors’ wall of worry. “Unless this quarter’s earnings are much worse than consensus, the more important thing will be the guidance,” said Cliff Corso, executive chairman of Insight North America. “This year’s earnings are probably not a recipe for a blockbuster market return, but there is no viable alternative for investors,” Corso added. 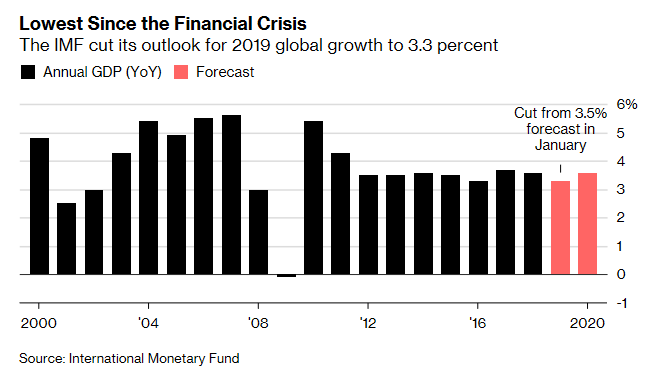 The IMF cut its global growth forecast to the lowest level since the financial crisis, citing the impact of tariffs and a weak outlook for most developed markets. According to the IMF, the world economy will grow at a 3.3 percent pace, which is 0.2 percent lower versus the initial forecast in January. “This is a delicate moment,” said IMF chief economist Gita Gopinath at a press briefing in Washington.